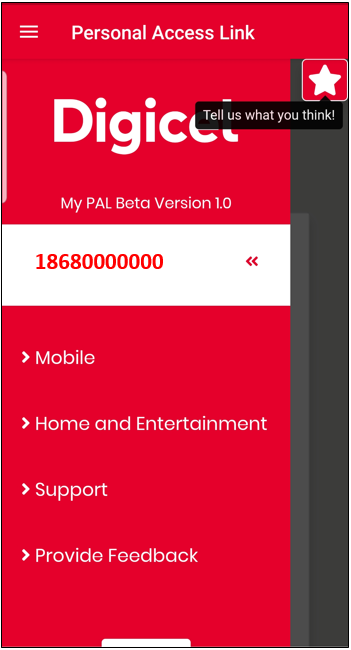 Digicel's new myPAL feature in the My Digicel App allows you to be in control and have full access to your account 24/7 on the go via the My Digicel App. Purchase plans or Add-ons such as roaming, more minutes & data. 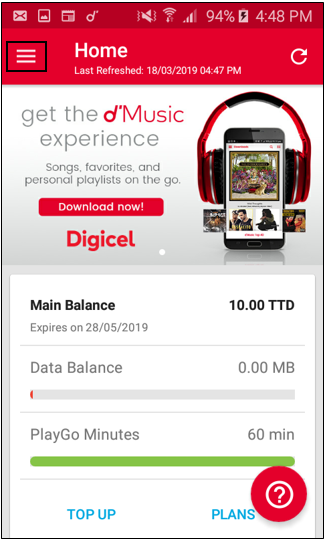 To log on, simply visit the My Digicel App on your device or visit our My Digicel App web at https://service.digiceltt.com/selfcare and follow the steps below. Step 1. Select the menu to the top left hand corner. Step 2. Select the Personal Access Link. Step 3. Click 'Enter Here'. Step 4. 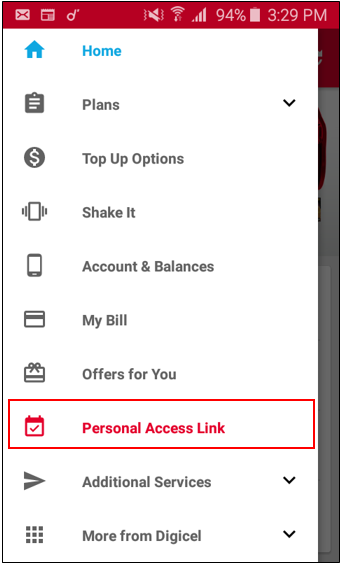 Once you’ve entered, you can proceed to select the mobile option or the Home and Entertainment option to view and manage your accounts. 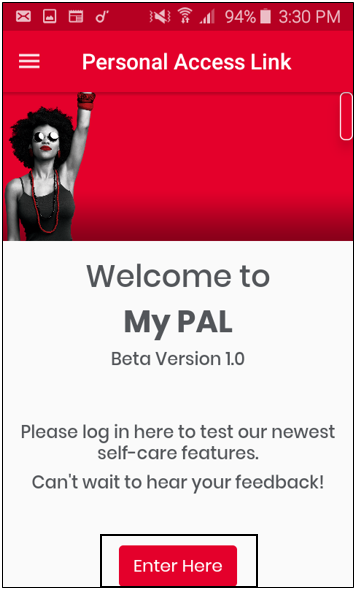 We’d love to hear from you, so please feel free to leave tell us what you think so we can continue to update myPAL to better suit your needs.